Iowa Wrestling has been making steady progress throughout the season. The goal of course is to peak at the NCAA Championships in Pittsburgh on Mar 21,22, and 23. 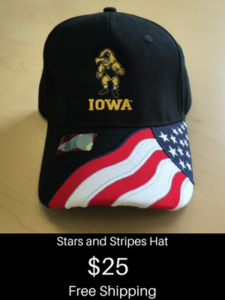 Iowa peaked at nationals last year and they are showing all the signs of peaking at the right time again this year. One part of the Iowa Wrestling arsenal that has been lacking is first period takedowns. 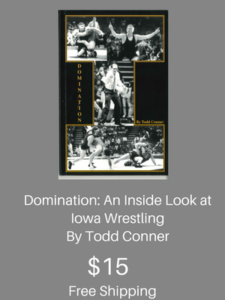 It is not just the takedown points, but the pace that is so very important in the Iowa Wrestling style. The pace has not been where it needs to be in the first period. With that in mind, I decided to take notes during the Maryland dual meet to see when the first takedown occurred for an Iowa wrestler. The times I recorded are not official, but they should be pretty close to prove a point. In the nine matches that a takedown was scored, Iowa had the opening takedown. It really doesn’t matter who the competition is, you want to come out fast, attacking, and scoring. If the competition goes up the next time you compete, you just have to work a little harder but the game plan is the same. Iowa came out and was in deep on shots quick into the match like I haven’t seen them do yet this season. There was a sense of urgency is their style. That pace is much more demanding on their opponents who more than likely do not want to go at that high of a pace. Royce Alger has told me numerous time that he was not as concerned with scoring a takedown in the first period as much as he was about setting the tempo and pace of a match. If a move did not work in the first period, it would later in the match when he had worn his opponent down. The best example of the opening pace taking a toll on the opponents would be Cash Wilcke at 184. Wilcke did not score a takedown until the second period, but he pushed the pace and was in deep on leg attacks at least three times in the first period. Wilcke was then able to score takedowns almost at will on his exhausted opponent to win the match 23-9. Alex Marinelli at 165 is always pushing the pace. The combination of pace and strength will take a toll on his opponents. I am hoping that we see more of his teammates wrestling at that opening pace like we saw Friday night. The quickest opening takedown was Patricio Lugo at 149, but just by a hair over Kaleb Young at 157. I know that they were both under :10. That is a good start to a match. With the dual meet starting at 149, that is also a great way to start a dual meet for a team. Iowa will face tougher competition this weekend. It will be interesting to see if the sense of urgency that we saw against Maryland will be there for Indiana and Wisconsin.